Mouse ES cell line with a GFP tag inserted into the St13 gene. 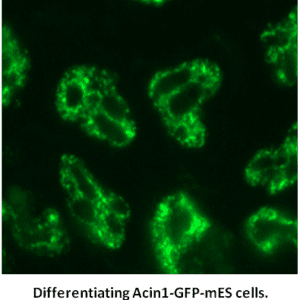 Expresses a full-length GFP fusion with the Suppression Of Tumorigenicity 13 Protein. 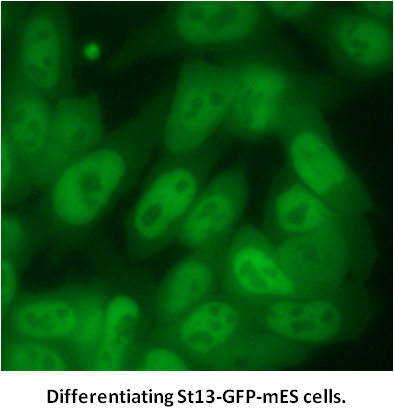 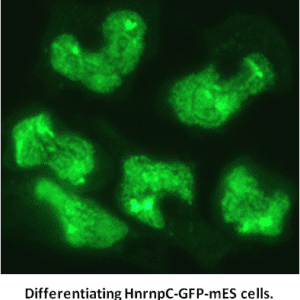 SKU: St13-GFP-mES Category: CD - tagged mouse ES cell lines expressing a single GFP-fusion protein under native regulation. 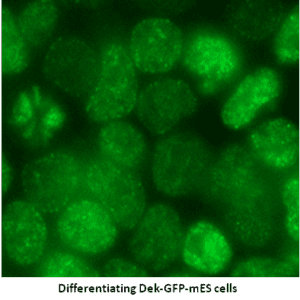 Mouse ES cell line with a GFP tag inserted into the Dek gene. 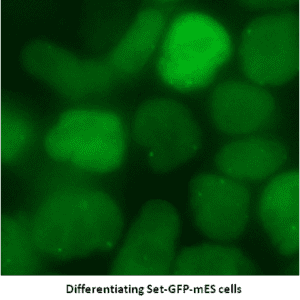 Mouse ES cell line with a GFP tag inserted into the Set gene.